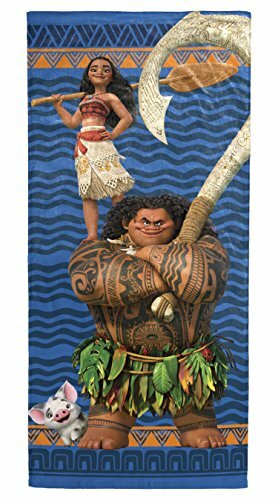 Disney Moana Tribal Soft Cotton 28" x 58"
Be the coolest kids on the beach or at the pool with this Moana beach/pool towel, featuring your child's favorite characters. Super soft cotton absorbs water and dries quickly for all day use. Each plush towel measures 28" x 58" and is sure to be the envy of their friends. Fill your closet at home or pool cabana with multiple character towels for when friends come over. Fun in the sun will never be the same. Easy care, machine washable cotton. Imported. Complete the ultimate Star Wars bathroom with this "Classic Saga" bathroom collection. Complete with imagery from the original films printed in high resolution with vibrant colors, as well as sculpted acrylic bathroom accessories, this collection is perfect for fans of all ages. 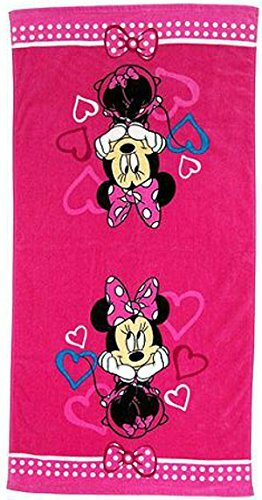 Make bath time fun with this bright and fun Minnie mouse bath towel. Super absorbent 100Percent cotton terry construction allows colors to pop for a true Disney experience. Bath towel measures 27" x 50". perfect for any child's bathroom or use on the beach to make it fun. Makes a great gift. Easy clean, machine washable 100Percent cotton. Imported. They will be the coolest kids on the beach or at the pool with their favorite movie or TV character beach/pool towel. Super soft cotton woven jacquard towel absorbs water and dries quickly for all day use. Each plush towel measures 34 inch x 64 inch and is sure to be the envy of their friends. Fill your closet at home or pool cabana with multiple character towels for when friends come over. Fun in the sun will never be the same. Easy care, machine washable cotton. Imported. 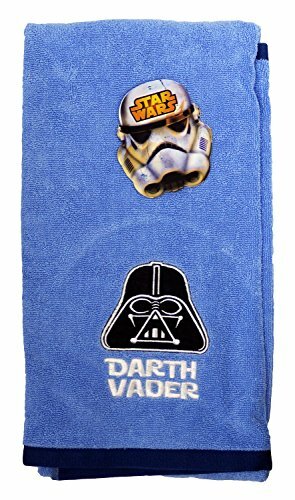 Make bath time fun with this Star Wars Ep7 Hooded Towel! 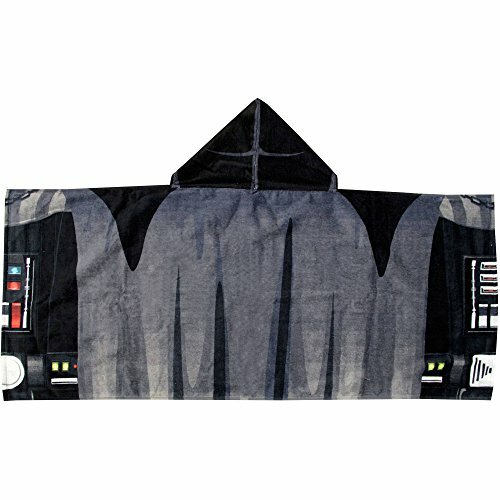 Your child will feel like a Jedi Master at bath time with this hooded towel. Super absorbent 100% cotton allows colors to pop for your little warrior! Bath towel measures 22" x 51". Perfect for any child's bathroom or use on the beach to make it fun. Makes a great gift. Easy clean, machine washable 100% cotton. Imported. Now you can enjoy the company of Mickey when you go the pool. 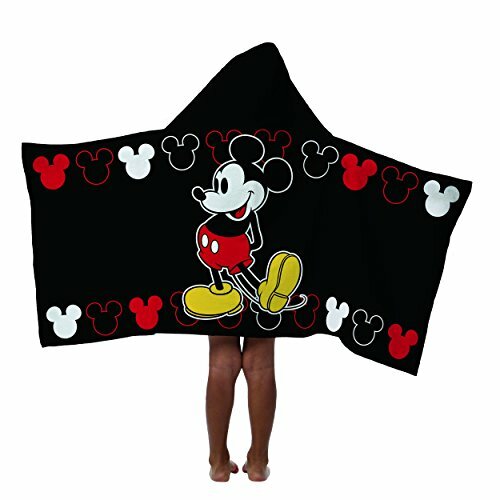 This Mickey hooded towel is perfect for any fan. This towel is perfect for pool time, bath time and beach time. The towel measures 22" x 51". made with machine washable cotton making it easy to care for. 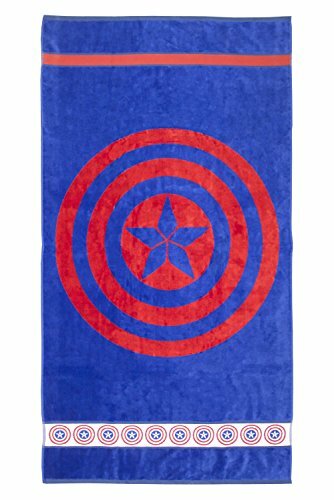 Marvel Guardians of The Galaxy 2 Shields Cotton Bath, Pool, Beach Towel, 28" x 58"
They will be the coolest kids on the beach or at the pool with their favorite guardians of the Galaxy beach/pool towel. Super soft cotton woven towel absorbs water and dries quickly for all day use. Each kids towel measures 28 inch x 58 inch and is sure to be the envy of their friends. Perfect for bath time too. Fun in the sun will never be the same. Easy care, machine washable cotton. Imported. 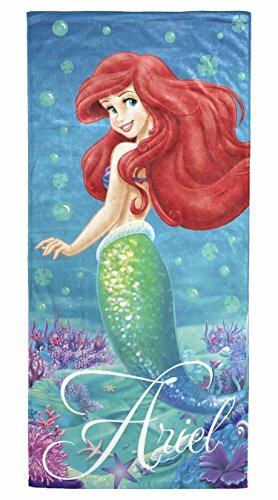 Disney Little Mermaid Ariel Splash 100% Cotton 28"
They will be the coolest kids on the beach or at the pool with their favorite movie or TV character beach/pool towel. Super soft cotton absorbs water and dries quickly for all day use. Each plush towel measures 28 inch x 58 inch and is sure to be the envy of their friends. Fill your closet at home or pool cabana with multiple character towels for when friends come over. Fun in the sun will never be the same. Easy care, machine washable cotton. Imported. Be the coolest kids on the beach or at the pool with this Mojang Minecraft bath/pool/beach towel, featuring the most popular characters. Super soft cotton absorbs water and dries quickly for all day use. Each plush towel measures 28" x 58" and is sure to be the envy of their friends. Fill your closet at home or pool cabana with multiple character towels for when friends come over. Fun in the sun will never be the same. Easy care, machine washable cotton. Imported. 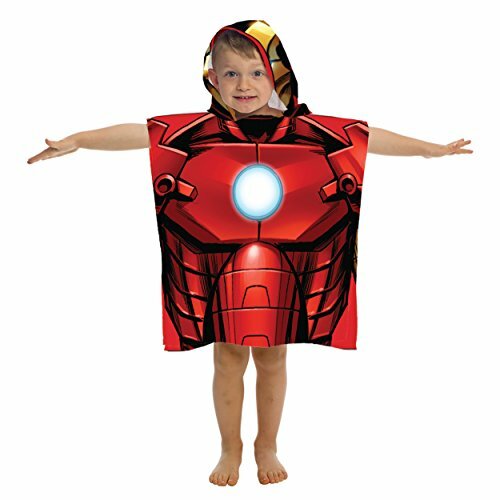 They will be the coolest kids on the beach or at the pool with their favorite Avenger from Infinity War, Iron Man hooded poncho towel. Super soft cotton absorbs water and dries quickly for all day use. Each plush towel measures 22" x 22" and is sure to be the envy of their friends. Fill your closet at home or pool cabana with multiple character towels for when friends come over. Fun in the sun will never be the same. Perfect for ages 3-7. Easy care, machine washable 100% cotton. Compare prices on Jay Franco Bath Towels at ShopPlanetUp.com – use promo codes and coupons for best offers and deals. We work hard to get you amazing deals and collect all available offers online and represent it in one place for the customers. Now our visitors can leverage benefits of big brands and heavy discounts available for that day and for famous brands.